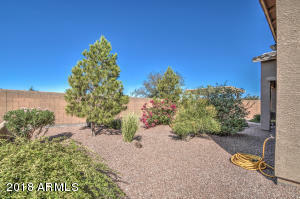 Absolutely charming corner lot home in beautiful 55+ Adult Community of Province! 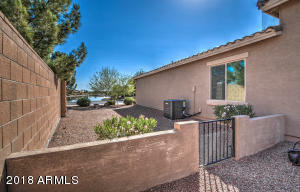 Faces lake out the front & water feature out the side. 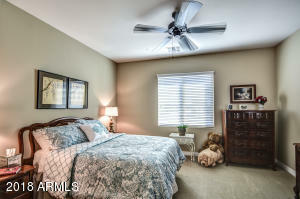 2 spacious bedrooms plus separate office/den/flex room. 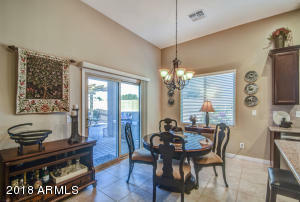 Tile flooring through all main living areas. 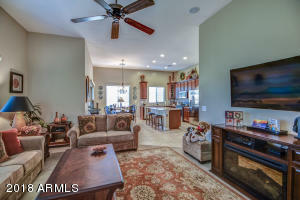 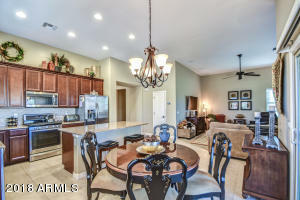 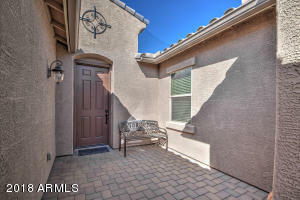 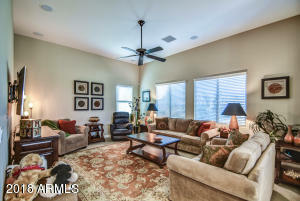 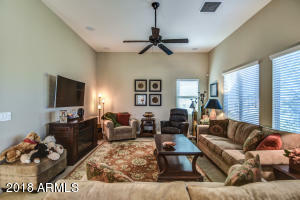 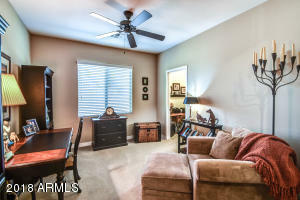 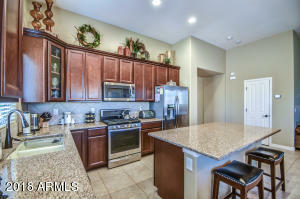 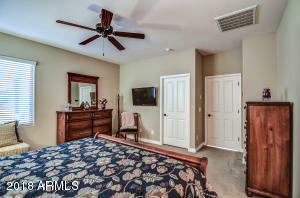 Neutral colors, ceiling fans, back of home sunscreens, recessed lighting, surround sound and much more! 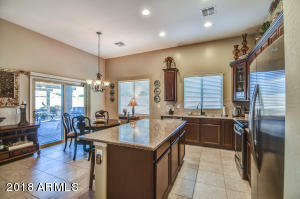 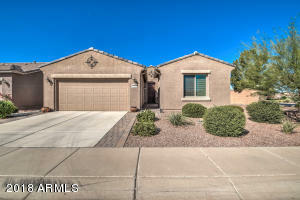 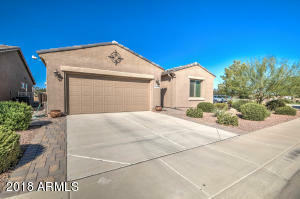 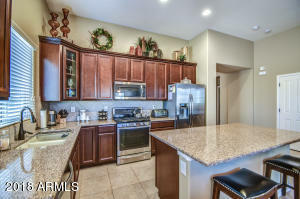 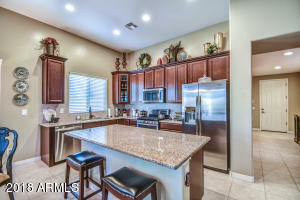 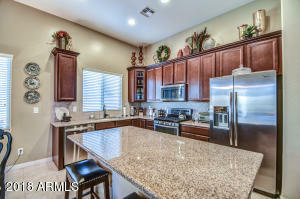 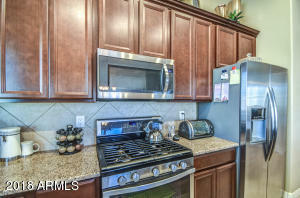 Kitchen offers island with breakfast bar, granite counter tops, pantry, upgraded cabinetry, and stainless steel appliances (includes refrigerator). 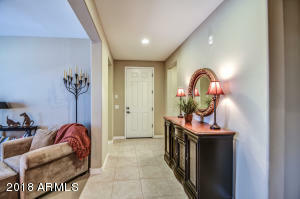 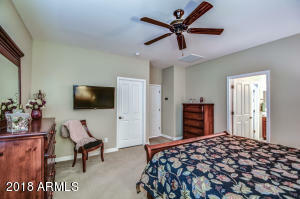 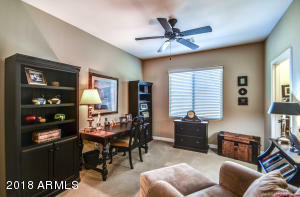 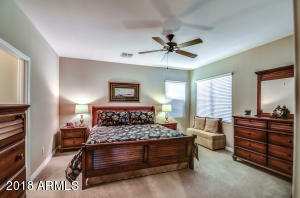 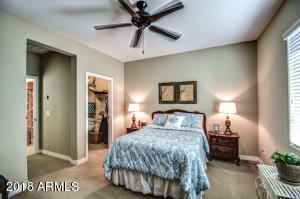 Master bedroom is split with his & hers separate walk-in closets. 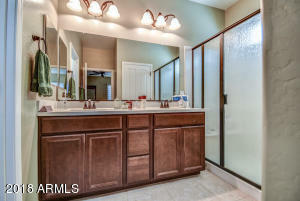 Master bath suite offers extended shower and vanity with double sinks. 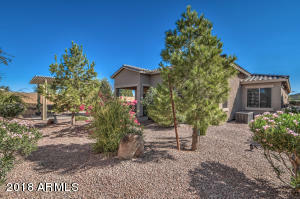 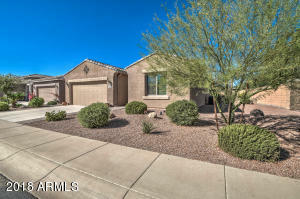 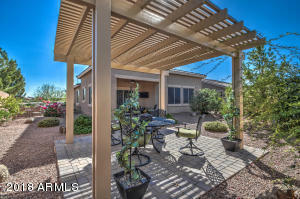 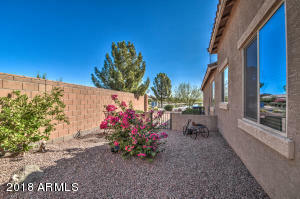 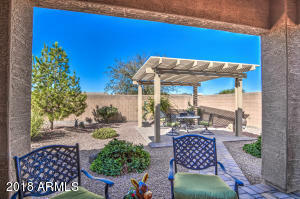 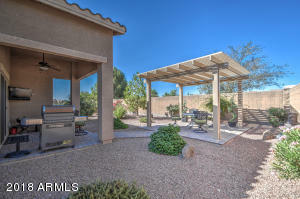 Beautiful backyard with pergola, gas stub for grill, mature landscaping and plenty of space on both sides. 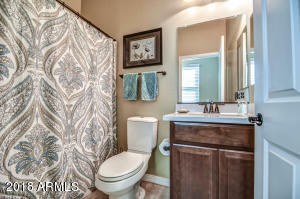 Only one neighbor to the left. 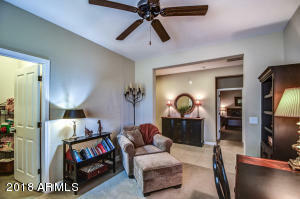 East on Smith Enke, South through Guard Gate. 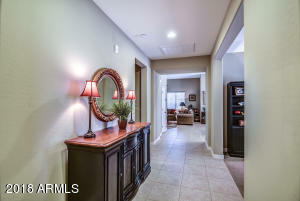 Follow Province Parkway to Left on Rummy, Right on Pinochle - Home is on Right Side, Corner.